The Principal of the teaching faculty is Dance Centre Director Brigid Carter-Chan, who heads a team of experienced and skilled teachers. All teachers are qualified to either Solo Seal or advanced level, and includes NZ champions in Jazz, Tap and Hip Hop. The Centre's tutors are often in demand as adjudicators at dance competitions, presenters at dance seminars and choreographers for shows. All tutors are constantly reviewing and upgrading their work to keep up with the latest dance styles and techniques, ensuring students are receiving the best dance tuition possible. Dance Centre Director, Brigid Carter-Chan, has often taken leave to further her own skills overseas and has trained at the Broadway Dance Centre, Steps Studios and the Alvin Ailey Amercan Dance Centre in New York. 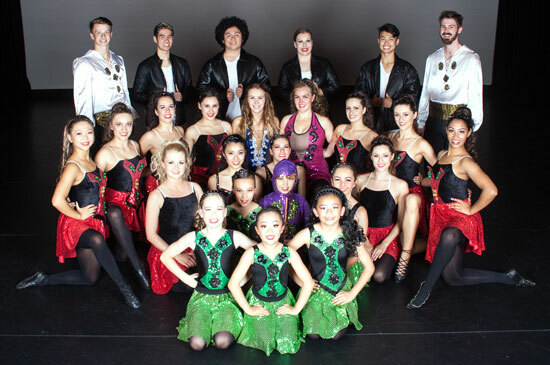 It provides professional entertainment and choreographic services and include Cabaret and Celtic dance groups, Cheer Teams, Musicians, Singers, DJs, and Comperes. They have been involved in numerous professional performances; in the public, private and corporate sector, and on television. Brigid is also director of her own entertainment company, Carter-Chan Entertainment Productions.